Reissue of haunting recordings made in 1976, released in 1977, 1979, and 1999. First vinyl edition in 40 years. Mastered and cut to 2 x LP by Rashad Becker at D&M, Berlin. 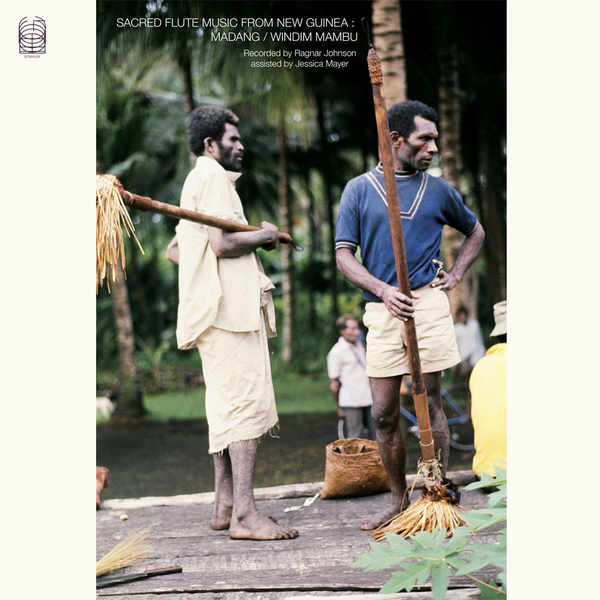 “Recorded by Ragnar Johnson & assisted by Jessica Mayer, Papua New Guinea, April-August 1976 Sacred flutes are blown ("Windim Mambu'') to make the cries of spirits by adult men in the Madang region of Papua New Guinea. Pairs of long bamboo male and female flutes are played for ceremonies in the coastal villages near the Ramu River. The Ravoi Flutes from Bak are accompanied by two garamut carved wooden slit gongs. The Waudang Flutes from Manam Island are accompanied by two large and two small slit gongs and six singers. The Jarvan Flutes from Awar are accompanied by a shell rattle. The Mo-mo resonating tubes were recorded in the Finisterre Range. There are the cries of six different pairs of flutes and one pair of conch shells from the Ramu coast, two pairs of Waudang Flutes from Manam Island with singing and Mo-mo resonating tubes from the Finisterre Range. Occasional percussion is provided by wooden slit gongs and hand drums. These recordings were made in 1976. 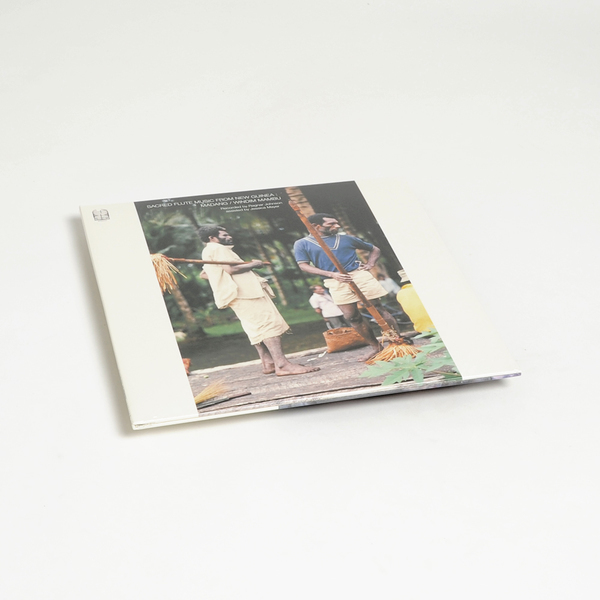 Originally released on LP 1977 as !Quartz 001 & 1979 as !Quartz 002, Quartz Publications by David Toop with the assistance of Sue Steward, Evan Parker, Robert Wyatt and Alfreda Benge. Re-released on CD 1999 as Rounder Records 5154 & 5155. We would like to thank the performers and people of the villages of Awar, Borai, Bo'da, Kaean, Kuluguma, Nubia Sissimungum and Damaindeh-Bau for making this record possible. 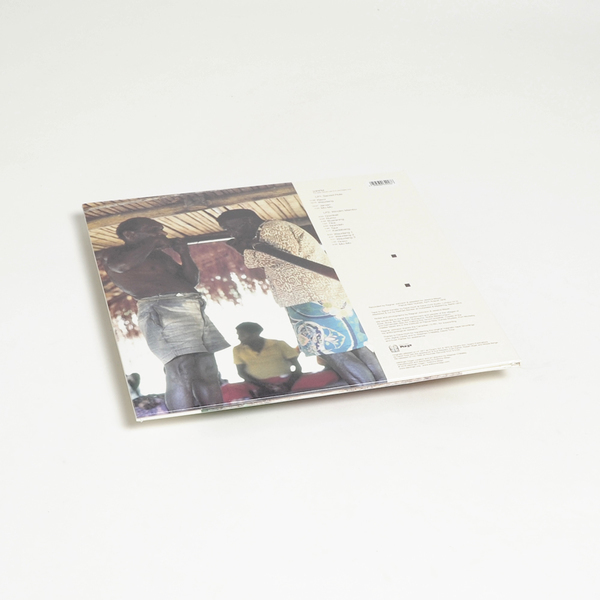 Copies of the master tapes are in the Institute of Papua New Guinea Studies, Port Moresby. Ragnar Johnson thanks the Canadian I.D.RC. for supporting his anthropological research.